Top 25 Emerging Leaders list will feature in the same September edition as the eagerly anticipated AdNews Power 50. To get involved commercially with the edition, which once again will have a unique front cover designed by one of Australia’s leading creative agencies, email Paul Carroll or Nicola Riches. Who are the future leaders of our buzzing industry? Who has the skill, talent knowledge and leadership nous to stand out from the crowd? 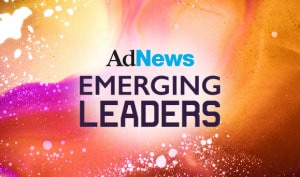 AdNews is calling for nominations for the Top 25 Emerging Leaders of our buzzing media, marketing and advertising sector. The final list, released in the September print edition of AdNews, will showcase the diamonds in the rough that stand out from the crowd and demonstrate the best examples of next generation leaders. Three of the top 25 Emerging Leaders will also have the opportunity to address the audience at the AdNews Lessons in Leadership forum this October. They must have a minimum of seven years in the advertising/media/marketing world (provide resume and LinkedIn profile link to support this). Why do you (the person who made this submission) think the nominee deserves to be listed as an emerging leader? Fill in the nomination form here.